Jockeys are required to have strength, cardiovascular fitness and specific handling skills because of the strenuous nature of their profession. They are required to spend numerous hours honing their skills and preparing horses for racing, with their days typically starting around 4am up to seven days per week. Professional jockeys face pressure to maintain a low body weight in order to participate in their sport. Failure to ‘make weight’ for a given race can lead to fines and suspensions, or simply missing races. Minimum riding weights in Australia are 53 kg for jockeys riding in the city or provincial areas and 54 kg for country tracks. Riding weight includes the saddle and associated riding equipment excluding the whip and skull cap. Although riding weights range from the minimum up to approximately 61 kg, many jockeys strive to be the minimum weight as this maximises their opportunity of taking any ride at a given race meeting. The need to keep weight low week after week has caused some jockeys to turn to extreme measures to control weight including severe dieting, laxatives, appetite suppressants, and the use of saunas, hot baths and diuretics to facilitate fluid loss. 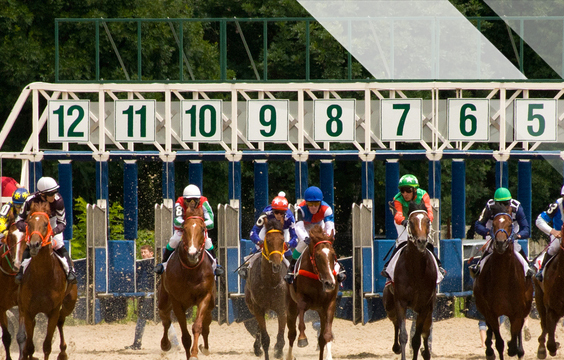 It is important to note that appetite suppressants, diuretics and other medications are not allowed to be used by jockeys under the Rules of Racing. As well, jockeys in NSW are not permitted to use saunas on a racecourse. Some studies have suggested a greater risk of disordered eating in this group. Unlike many weight category sports, jockeys must compete at their designated weight and ‘weigh in’ after each race at the set weight. There is no time after the initial weigh-in, prior to racing, in which they can consume additional food or drink. In many cases they may also have additional rides which follow at a similar or even lower weight meaning that there may be little or no food or drink consumed until racing is completed for the day. Dehydration and energy depletion may compromise concentration and coordination and decrease a jockey’s ability to physically and mentally perform at their best. Most jockeys need to be careful with their diet in order to manage their weight. Ongoing food restriction may lower metabolic rate so should be avoided where possible. Jockeys should try to eat three meals per day with foods from each of the food groups; breads and cereals, fruit, vegetables, meat and dairy. High fibre, low glycaemic index carbohydrate-rich foods (for example wholegrain bread, high fibre breakfast cereals or fruit) will be more satisfying and help with weight control compared to low fibre options. Foods which contain protein such as meat and dairy products also have this affect on appetite and are also more satisfying. Foods which are high in fat (for example fried foods, butter or margarine, many take-away foods, chips, biscuits or chocolate) should be eaten only occasionally as they are high in energy and are likely to contribute to weight gain. More information on weight management can be found in our fact sheets on Body Fat Control and Making Weight. Drinking tea or coffee at meal times may impair the absorption of iron and calcium and so these beverages should be consumed either at least 30 minutes before or 2 hours after meal times. Calcium rich foods (for example low fat milk or yoghurt) should be included daily. Eating calcium rich foods builds strong bones, important if accidents occur. For more information on calcium requirements see our fact sheet on Bone Health. Lean red meat is a good source of iron and should be included approximately three times weekly. For more information on the role of iron in the diet see our fact sheet on Iron Deficiency in Athletes. 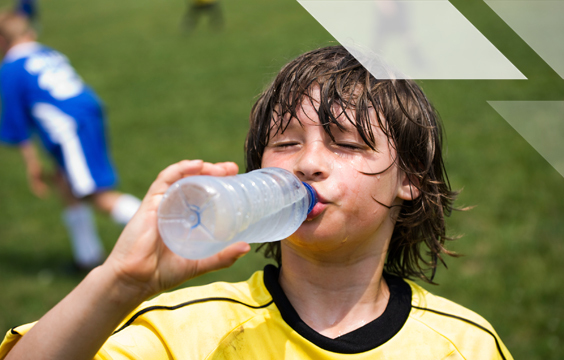 Dehydration can cause impaired concentration and co-ordination and at the extremes in temperature seen regularly in some parts of Australia, it can be responsible for collapse and death. Dehydration decreases the body’s ability to control body temperature, increasing the risk of overheating (heat stress). Dehydration also increases heart rate and the perception of effort during riding. Reaction time is slowed and concentration compromised. The greater the degree of dehydration, the greater the risk of serious problems occurring. Some jockeys feel psychologically more comfortable if they stay a little dehydrated even when they don’t have to make weight as this keeps them closer to their race weight. This practice can make jockeys feel tired, less motivated to train, and may even pose a daily risk to health and safety. Dehydration on a daily basis should be discouraged. A sensible diet and exercise program is the best way to keep weight under control. 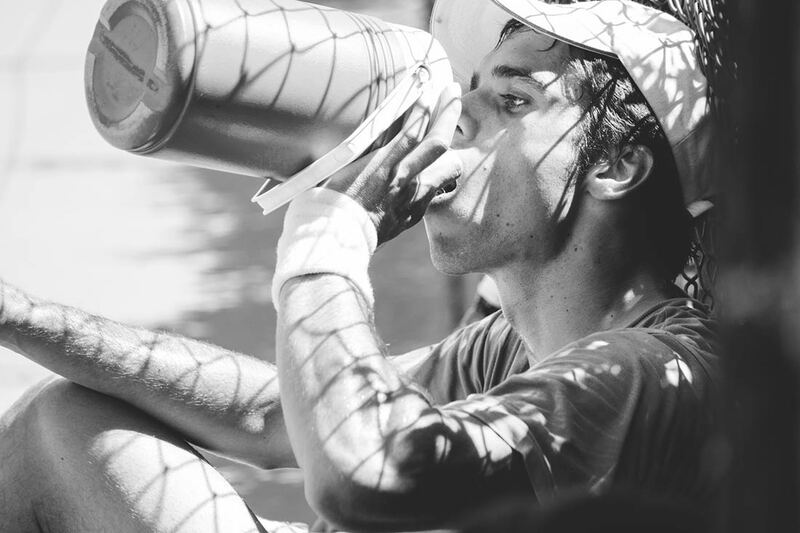 On race days dehydration should be avoided or minimised as much as possible. If a jockey does feel the need to restrict fluid intake to make race weight, adequate rehydration with both fluid and electrolytes should be a high priority post-race. What should I eat before racing? Ideally the pre-race meal should be eaten two to three hours prior to racing and should be high in carbohydrate and low in fat. Foods that are low in fibre and fat may be less likely to cause any gastric discomfort. It is important to ensure the meal is well planned and uses familiar foods and fluids. For some jockeys this type of eating plan may not be possible for all races. A lower fibre diet for three days leading up to a race is a strategy that may be helpful in some situations. This works by reducing the weight of food in the digestive tract whilst still providing energy. This style of eating is likely to be less satisfying, making it harder to regulate appetite, and lacking in some nutrients so should not be followed for long periods. It is also impractical if racing occurs on more than one or two days of the week. 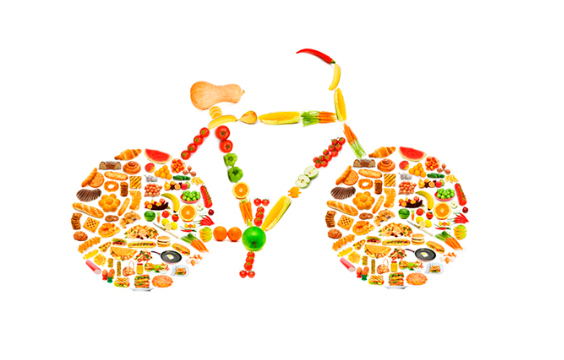 A sports dietitian can help with weight management and pre-race meal plans. For an individualised strategy, Find a Sports Dietitian near you. What should I eat/drink during competition? On race days, foods which provide maximum energy for minimum weight are ideal. Sports products such as sports bars, gels, or meal replacement drinks are ideal for this purpose as they are a concentrated source of energy and are very light weight. Most cycle shops or sports stores carry a range of these products. Experimentation may be necessary to work out a race day plan that is suitable for each individual jockey. Choosing the right race day plan depends on an individual jockey’s lifestyle, habits, appetite and weight – close supervision by a sports dietitian is highly recommended. After racing has finished for the day the first goal should be to ensure rehydration occurs as soon as possible. 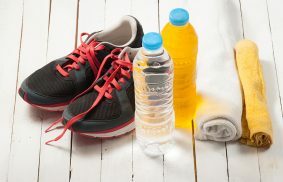 Replace fluids and energy initially using a sports drink and some food. Fruit, cereal bars, liquid meal replacements and pre-packaged snacks like canned fruit and dried fruit and nuts are easy, portable and nutritious options. A ‘proper’ meal should follow within 2-3 hours of finishing the event and needs to be carbohydrate based with a good source of protein (e.g. bowl of pasta with bolognaise sauce or bowl of rice with stir-fried meat and veggies) to promote muscle refuelling and recovery. Whilst it is good to unwind after racing, drinking too much alcohol or overindulging with take away or fatty foods should be avoided as it can make it harder to make weight the next time. Alcohol is also a mild diuretic, making it harder to rehydrate adequately. 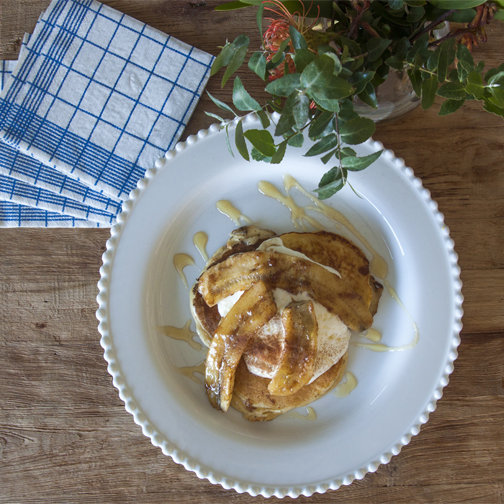 A treat meal or dessert can be planned but should be kept in reasonable proportions. It is better to have a few smaller treats than to have a large ‘binge’. For jockeys who have trouble maintaining their weight at the required levels, professional advice from a sports dietitian is very important. A sports dietitian can design a personalised program, tailoring nutrition advice to the specific needs of the sport and hectic lifestyle.